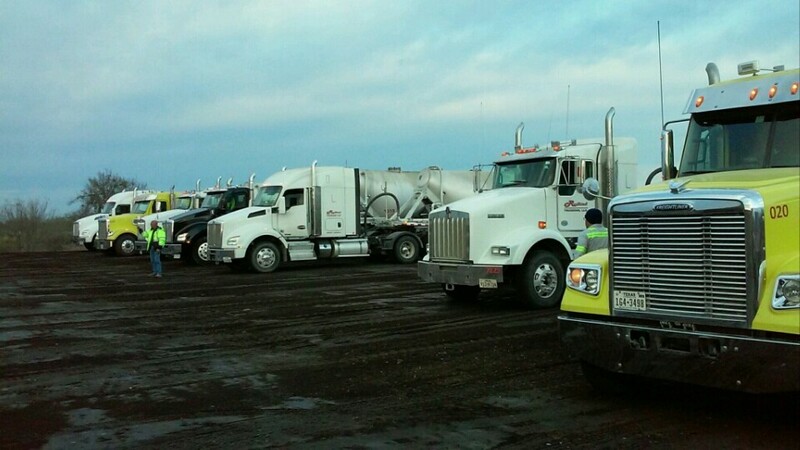 Redbird Trucking is a specialty pneumatic trucking company primarily focused on transporting cement, fly ash, lime and mineral fill to customers throughout Texas. Customer satisfaction and safety are paramount to our success. We apply the highest professional standards in every aspect of our business by employing skillfully trained staff and utilizing the latest technology - all to provide on-time, safe delivery to our customers. Established in 2012, Redbird Trucking is a DBE certified company in the state of Texas. Our company owned fleet is made up of late model Kenworths and Freightliners. Since our inception, we have garnered a reputation for attracting professional drivers who are committed to safe, on-time delivery. We pride ourselves on having a nimble fleet. Our 24/7 logistics team proactively updates our customers and drivers as dynamics change on the ground. Safety is a major focus for our company and customers. Redbird Trucking’s professional driving team is trained and well equipped to handle any job given. We provide each driver with high visibility uniforms, hard hats, safety glasses and protective work gloves. Compliance with all industry regulations is paramount. Our drivers are monitored using electronic logs and we take pride in assuring our customers that Redbird drivers are legal and in compliance with state and federal regulations. Our on-going goal is to bring each driver home safely every night. Our in-house maintenance facility ensures our fleet is diligently maintained daily. We employ certified mechanics and own the latest software technology for all makes and models of diesel trucks so our fleet can be analyzed and repaired without outside assistance. Our well maintained fleet allows us to keep moving to meet our customers' needs. Redbird Trucking is the right choice for professional, reliable and safety conscious pneumatic transport. We are dedicated to reliable, safe, and on-schedule delivery. Because we use the latest e-log technology to monitor our fleet, we have the flexibility to meet the needs of our customers and ensure their loads get where they are needed. Our logistics team is capable of moving our fleet in route as changes occur on the ground. For our customers, this means the product is at the right location and on time. All information provided is provided for information purposes only and does not constitute a legal contract between Redbird Trucking and any person or entity unless otherwise specified. Information is subject to change without prior notice. Although every reasonable effort is made to present current and accurate information, LinkNow™ Media makes no guarantees of any kind.